I just never get sick of photographing this cutie! I have been doing her pics since before she was born, and ever since then. I’ve done Nikki and Leila'’s maternity, fresh 48, 6mo, 1yr, and so on every chance I get! Even though we specialize in weddings, I love taking on the occasional family and kiddo. 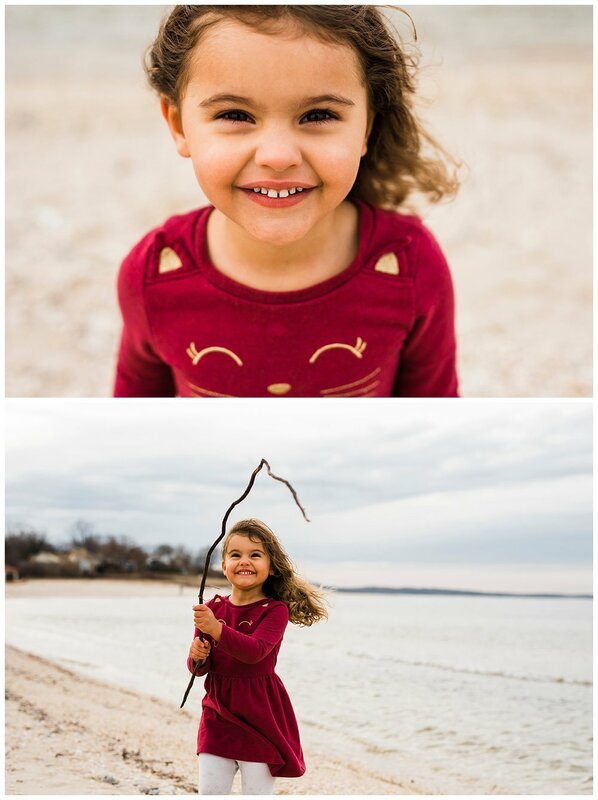 Leila is such a bright light, a sassy and sweet little girl who I just adore. It was cold and windy at Crab Meadow Beach, but the light cloud coverage was great for photos. Leila only had about five minutes threshold for the chilliness (I couldn’t blame her, I wouldn’t have wanted to pull my jacket off either) so it was up to us to get as much of her personality out in just a few minutes). Leave it to this little girl though, because she gave us the whole spectrum — her curiosity, playfulness, quick witted little personality just beamed. 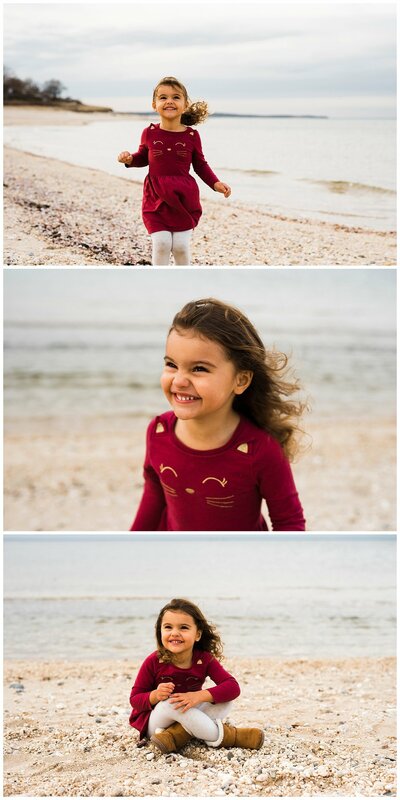 My favorite was when I was trying to keep her attention and get her engaged, and I said, “Leila can you give us a smile” and she just goes, “RAWR! I’m a monster!” Hahahaa she gave us the biggest smile right after doing a playful monster and then threw her hand on her hip and posed her pants off. What a ham! Leila’s mom, Nicole, is a dietician and works at Memorial Sloan Kettering as well as managing her own brand, Worksite Wellness. She just published her own cookbook, The Truly Healthy Pescatarian and we were lucky enough to snag our own copy when she came out for the session! We love chatting about all healthy eating and nutrition and of course, doing anything with Leila!